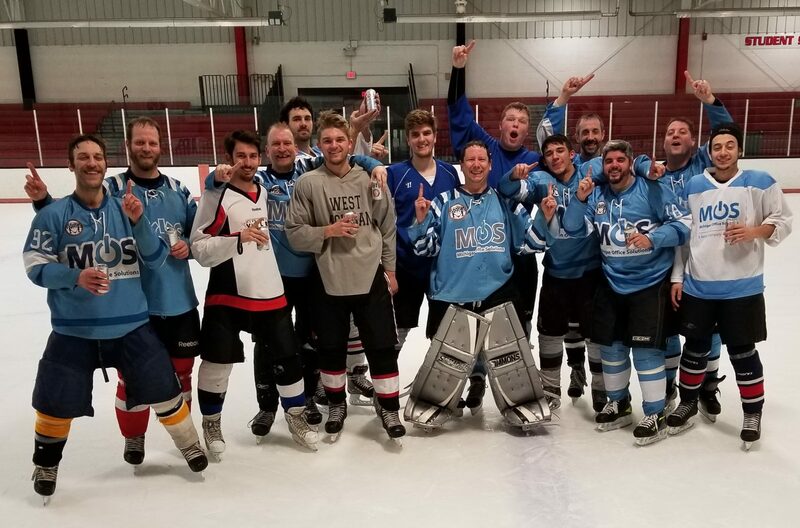 Howie’s was down 7-3 with 6 minutes left in the game last night and STILL won. After a fantastic first period where we led 3-1, I thought that we would pull off the win. They scored 5 in the 2nd period and my confidence waivered. Just seemed like I couldn’t make a good save in that 2nd period. With us down by 4 goals, I thought it was over. So did the other team who was all smiles and laid back. We scored right away, and then scored 4 more in the final 3 minutes of the game to win it. The last goal coming with less than 10 seconds left. I just couldn’t believe it. It just gets harder for Howie’s Hockey Tape now though. We have 2 weeks off, and then have a double header against the two top teams in the league before we start playoffs.